After nearly five years in the making, the dream of Russellville School District to have a performing art center serving the students of the district and residents of the River Valley came true as the doors to The Center for the Arts opened on April 15, 2012. Thanks to a 6.9 millage property tax increase that was approved by voters in 2007, The Center for the Arts became the final portion of a construction project started by RSD to expand educational and cultural resources for students and the community. 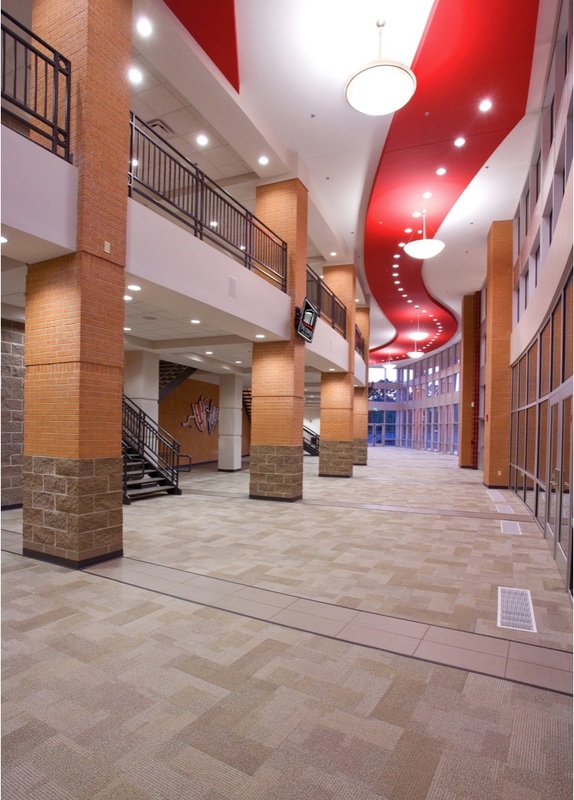 Earlier projects included the construction of a new 42,000 square foot band, choir and drama area that have been in use since the 2010 school year and the district's new STEM center which houses science, math and engineering classes. RSD set out to create a multi-purpose art center to house district events such as band and choir concerts, theatre and musical productions as well as assemblies and school related programs. Members of the district and the community also saw the importance of having a premier performance space for local artists and organizations as well. Looking into the future The Center would like to host activities such as summer art programs and camps, performing artist series and world class entertainment bringing in top name performers and Broadway shows. 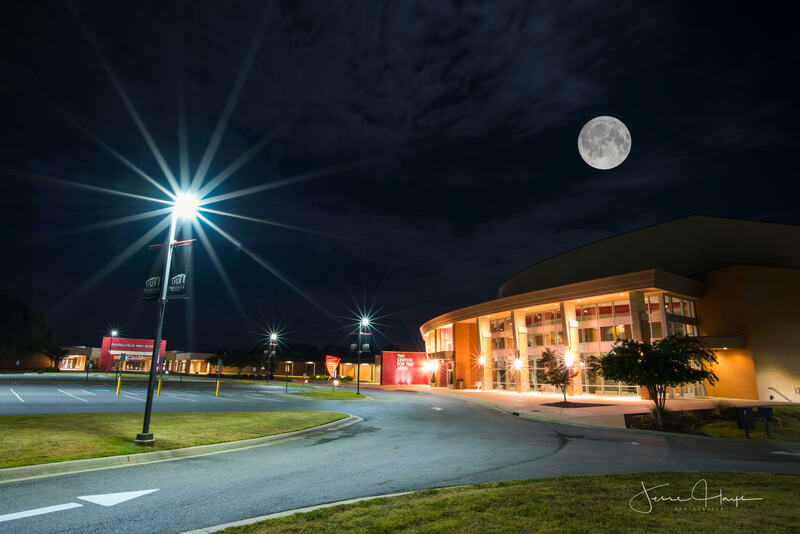 Designed and constructed by Russellville based Crafton Tull Architecture and EWI Contractors, the 130,000 square foot Center stands prominently at the front of the Russellville High School campus. 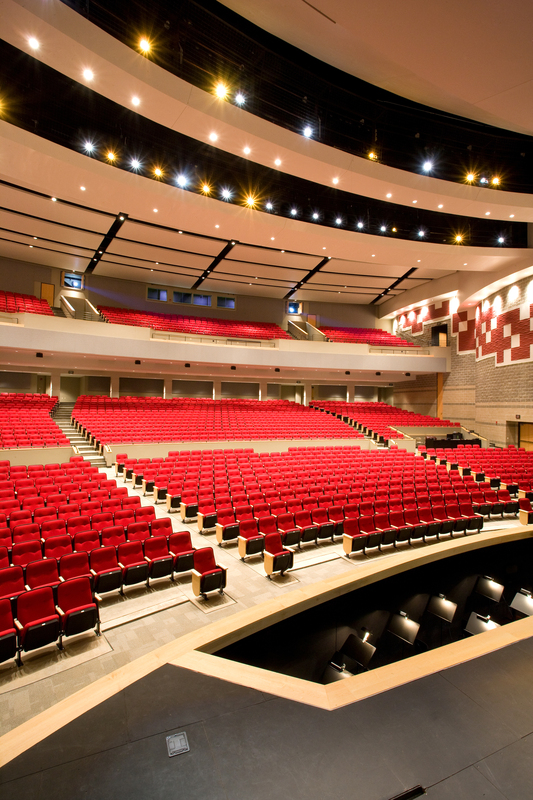 Blending state of the art technology along with a creative design, The Center is sure to be one of the largest theatres in the state equipped with superior acoustical quality. 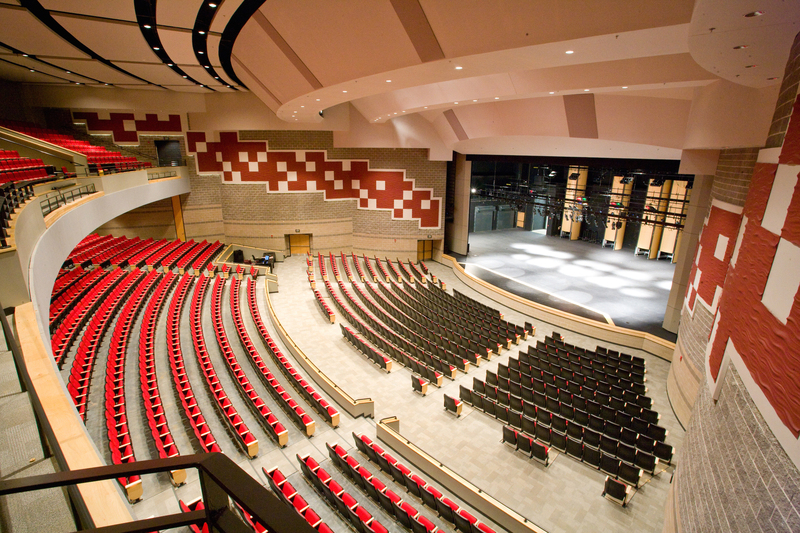 The main feature of The Center is an 1,875 seat performance hall designed to support orchestra, Broadway, music and dance. The Center also boasts a grand lobby with a glass façade which will provide clear views from both inside and outside the building providing a versatile area perfect for gallery showings, receptions or meetings. There is also a BlackBox theatre perfect for smaller musical and theatrical performances as receptions or meetings.